After 11 years behind bars, the convicted killer known as the “grid kid slayer” by tabloids is hoping allegations of prosecutorial misconduct will bring him home to his family again. 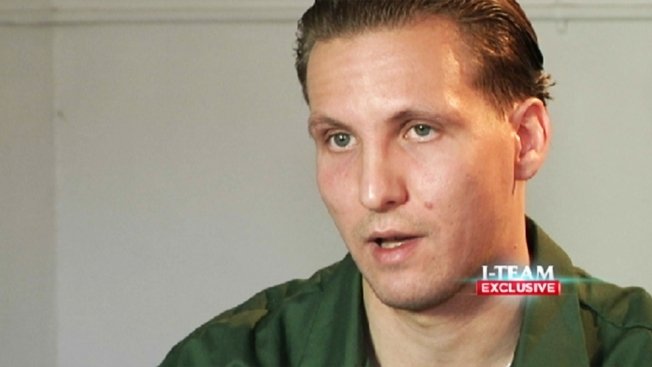 Thirty-two-year-old John Giuca, who is seeking to overturn his murder conviction, will get a new court hearing in Brooklyn State Supreme Court Monday. The I-Team has learned that a jailhouse informant who originally testified for the prosecution will switch sides and claim that he made up the accusations that sent Giuca to prison for the Brooklyn murder of a college football star. Giuca is serving a 25-years-to-life sentence for the death of Mark Fisher, a New Jersey college student whose body was dumped in a driveway after a night of partying in 2003. “Every day is hell. If you can imagine the worst day of your life and now imagine reliving that day every day for the past 11 years, that’s what it feels like,” Guica told the I-Team from Clinton Correctional facility, near the Canadian border. Giuca has always maintained his innocence, but Brooklyn prosecutors painted him as a wannabe gang thug who gave his friend Antonio Russo a gun and told him to shoot Fisher. The key witness at the trial for the prosecution was John Avitto, a man with a long drug history. Giuca’s attorney, Mark Bederow, claims prosecutors misled the jury and withheld information that would have diminished Avitto’s credibility. Giuca’s mother, Doreen Giuliano, went undercover after her son's conviction, dying her hair and taking on a new identity to try to seduce a male juror. For months, she recorded their conversation as they became good friends. She claims she found juror misconduct, but a judge would not consider her tapes as evidence and instead lambasted her for the undercover scheme. Despite the controversy, Giuca believes his mother is a hero. He said any mother would do the same if she knew her son had been wrongfully convicted. Giuca has one regret; hosting a party the night Fisher was killed. “I never thought I would be doing 25 to life for having a party, but that’s what happened. If this can happen to me, it can happen to anyone,” he said. Giuca still thinks about Fisher and the family that went through so much suffering from the death of their son. Giuca’s mother feels her own sense of loss. Her oldest son was arrested right before Christmas in 2004. Since that day, Giuliano has kept the Christmas tree up in the living room of her Park Slope South home, undecorated. The Fisher family did not respond to the I-Team's request for comment. The Brooklyn district attorney's office denies any impropriety in the case. “We are standing by the conviction and we are confident that after a fair and thorough proceeding, it will be upheld,” a spokesperson for the district attorney's said. The district attorney's office has agreed to Giuca's new court hearing.